This app is a brilliant way to help solve issues within the NHS but, while it is just a trial, there are some improvements that could be made. 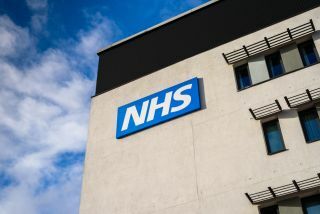 The NHS recently announced a brand new mobile App that is aiming to reduce the wait time that patients will have from booking an appointment to seeing a doctor. The App will allow patients to receive video consultations from GPs and see their symptoms on their phone. This app is a brilliant way to help solve issues within the NHS but, while it is just a trial, there are some improvements that could be made and more areas of the NHS that could be improved through the use of mobile apps. The biggest issue is obviously how restrictive it currently is. Patients in the app can only sign up to the few specific GP practices under the brand GP at Hand program, being run in conjunction with the technology provider Babylon. Babylon alone won’t be able to take the number of people that this app is expected to be receiving and if it is to become a success then there needs to be a push to have every GP practice under the NHS using this app. Everyone has phones and access to mobile apps, so this should not be that hard. There are more issues that currently face this app. One in particular is that this app cannot do everything that a normal GP will do. For example if you needed to have your blood pressure checked or if a doctor needed to feel an infected area then you would still have to go into a GP practice. This app is still in development though, and these may be problems that get solved later down the line when it is ready for full distribution. There are other ways that mobile apps can help patients and GPs as well. With modern technology a patient no longer needs to go into a practice or hospital to have a check-up – in some cases they can’t. One advancement is the use of IoT technology in patients Leg Cast that allows doctors to monitor the recovery of fractures remotely. This means patients only need to go for a check-up when it is absolutely required. This same thing can be done for other body fractures and can even check a patient’s heart rate remotely. Currently the new app is designed for the GPs to use while in the office but sometimes doctors are required to work in the field instead. Mobile apps could really help in this regard as well with apps that replicate a variety of doctor’s tools, like stethoscopes. Doctors could also have access to a patient’s files and be connected into a GP network even when out in the field, allowing for quick treatments and decisions to be recorded and relevant information accessible always. This would even work if either the patient or doctor were abroad as it uses WiFi. Even military doctors or volunteer doctors in Africa could benefit from a possible application like this. There are wider implications that mobile could have for hospitals and the NHS Trust. For example, you could save millions of pounds a year by simply saving at least 1 per cent of the medicine that goes unused or missing. With a network of mobile apps among employees and practices you could monitor the distribution of drugs and more easily keep track of which ones go unused. Something like this may end up costing a few hundred thousand to set up but that is a trivial amount compared to what would be saved from doing so. It is not only doctors and nurses who work for the NHS whose jobs could be helped with the advancements of technology and mobile apps. Technicians, for example, could have an app that easily monitors equipment throughout a hospital and quickly informs them of hardware issues when they are detected. Another example could be cleaners, who could use apps on their phone to scan a bed once it has been cleaned. Integrating this into a hospital system that flags available beds when ready would greatly increase efficiency around a hospital, which is always needed. Mobile apps have always had a place in health care, even as far back as 2001 with Pocket Doctor. This app acted as an information hub for the poorly, offering quick diagnosis on symptoms and informing them of the next step to becoming healthy. This used to be the best way of getting medical advice, short of speaking to an actual doctor. Hopefully the NHS app will take some cues from this 16-year-old program to make their new application as smooth and easy as possible for all who use it. There are also other types of apps that, while not specifically around healthcare, can be beneficial to a person’s health by keeping them active, recording their food intake or monitoring their sleep. A good example was the block-buster Pokémon Go mobile game from 2016 that caused the public to flock to the streets and catch virtual monsters. This app motivated people to go out of the house and do exercise for rewards, as running or biking could help to hatch eggs and have Pokémon appear more frequently. So, the NHS could invest in a variety of genres for apps that will all end up beneficial to health care and the public who need to be healthier. In the end this new app is a step in the right direction. Trying to get an appointment at the NHS is never a fun experience. Now patients can speak to a doctor from the comfort of their own home, where they can relax and recover while seeking out the best medical advice. But it is clear that this app is still in its early days as in its current state is too limited to help out enough people to be an efficient replacement. If they can find success though then hopefully the NHS will take this as a sign to begin using mobile apps in all facets of their work and create an efficient, streamlined, and relaxing experience for everyone involved.